In our home one of my favourite things to roast on the weekend is a ham shank. I then always look forward to the many meal options I can make with the leftovers! Split pea and ham soup, ham sandwiches for days, and my favorite comfort food… This Ham and Cheese Gnocchi – Paired with my favourite Viognier! Why does this pairing work so well? Both pork and oak contain Lactones, which makes a Viognier that has seen a little oak treatment a fabulous choice that matches the intensity of flavors and molecular structure of the meat. Smoked pork in particular has a fantastic way of bringing out the apricot and stone fruit flavors found in Viognier. Rustic and hearty with bright sundried tomatoes, this is one dish that can be a little tricky to pair with wine. The creamy/tomato base can pose a bit of a challenge. It is a dish that will require a bright, medium bodied wine with juicy acidity to not only match the bright flavours of the tomatoes, but cut through the creamy richness. For us this dish goes beautifully with bright, fruity and acidic Barbera D’Alba or Barbera D’Asti from Northern Italy! Try it with Vietti Barbera d’Asti Tre Vigne and enjoy a little escape from the comfort of your own kitchen! With a rich nose and palate of sour cherries, and a hit of baking spices, and light oak, it is a wine with enough balanced earthiness and acidity to compliment the dark meat in this easy pasta dish. Some times the simplest recipes are the best, especially when made with garden fresh ingredients! Our garden is offering up plenty of goodies this time of year! One of our favourites are the ‘little finger’ carrots! 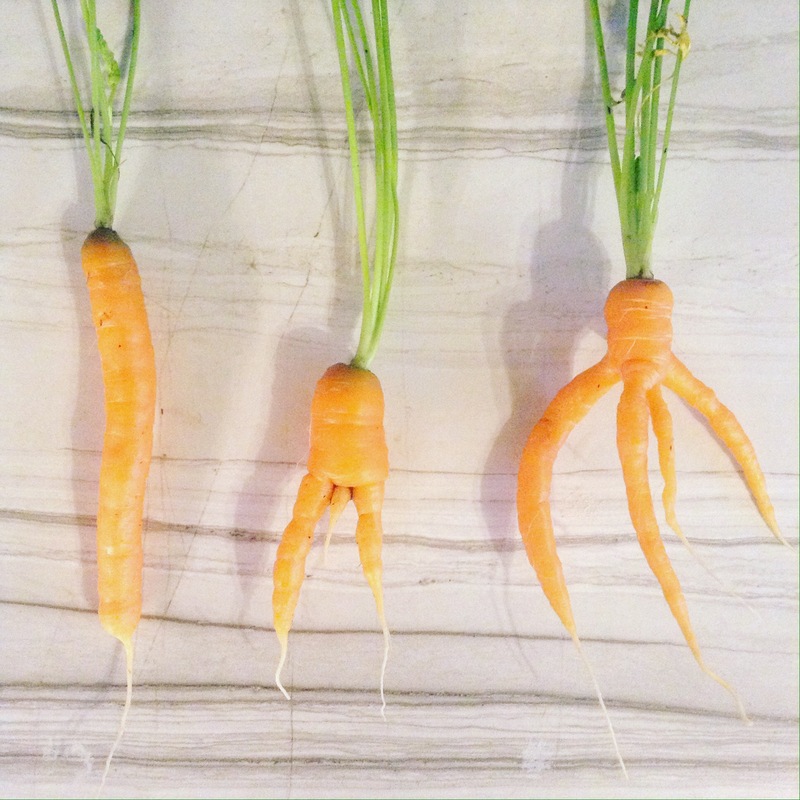 This year I made the mistake of planting them too close together… and as a result my son dug up what he named “Mommy Carrot, Daddy Carrot, and Octo-Carrot”… c’est la vie! If you have carrots you are harvesting from your own garden that are tender, I find you do not even need to peel them before cooking – they are so delicious, and pretty looking just with the tops trimmed off and sliced lengthwise! Browned butter adds a rich and nutty flavour to the sweet carrots, and is always a crowd pleaser!